Even if you aren’t familiar with French, you probably know a few words that have fallen into common usage in English. In addition to tasty terms about food like hors-d’oeuvre and bon appétit, English speakers have also adopted chic, fiancé, and French concepts like déjà vu. Moreover, you’re likely to know one of the most common greetings in France—bonjour. While you may be able to pronounce bonjour with passable success, you shouldn’t rely on this greeting for every situation. Bonjour means “good day” and is most often used from morning to dusk. Instead, you’ll want to choose a greeting that fits the context of the situation depending on the time of day or the company you’re keeping. In addition to becoming a more confident speaker, there’s another really important reason to become familiar with more French greetings. In France, it’s considered rude not to say hello every time you enter a shop or when you first begin a conversation with a local. Brush up on these ten French words or phrases that’ll get you beyond bonjour. If it’s not day, it’s night and that means you should switch from bonjour to bonsoir.Bonsoir means “good evening” and is typically used after 6 p.m. or dusk. You shouldn’t, however, confuse this word or use it interchangeably with the next greeting on the list. 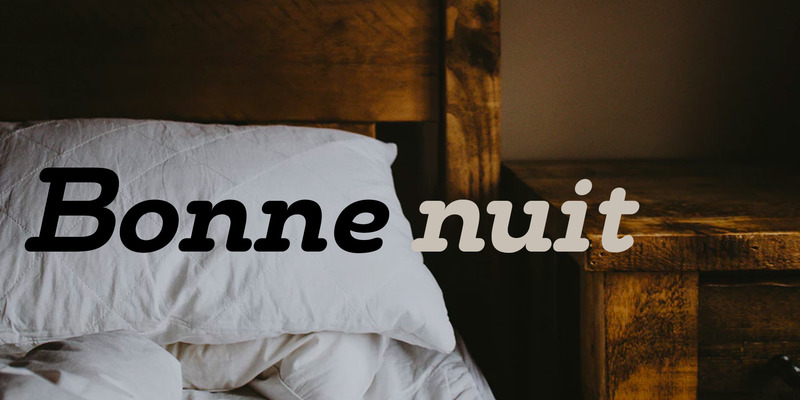 Bonne nuit means “good night” but, despite the literal translation, most of the French don’t use it as a greeting at night. Bonne nuit is something you’d say before you go to bed to signal to others you are retiring. There are pretty strict rules about when to use salut. This is an informal greeting and because it’s considered so casual, salut should only be used as a greeting between close friends. This French phrase translates into “what’s up?” and can be used as an informal greeting. As you might suspect from its English equivalent, quoi de neuf is slang and should also be reserved for friends and family. The French version of hello is infrequently used and only in very specific circumstances. You’ll most often hear the word when you pick up the phone or hear others talking on their cellphones. Allô is something the French will say to determine if someone is on the other end, but not a greeting they’d toss out in a face-to-face conversation. If salut is informal, coucou takes it a step further. This is another casual greeting that translates loosely into the equivalent of “hey there!”. As you can imagine, French culture might consider shouting this down the street to be uncouth, so it’s slang reserved for specific situations. Bienvenue means welcome, and it implies that you are the host welcoming someone into your home or space. It might be something a concierge (another French word commonly used in English) says to welcome you to a hotel. The phrase seems to embody the French culture, or at least the romanticized version of it. Enchanté is a warm embodiment of “nice to meet you” and translates as “enchanted” or “charmed.” It’s a response that expresses delight upon meeting someone new and can get your conversation started on the right foot. ​Comment ​​allez-vous is the formal version of “How are you?” or “How is it going?” If you wanted to say the same thing informally, you could use the phrase Ça va? or “It goes?”. Confusingly, Ça va can also be a response to “How is it going?” so, like most languages, context is king. 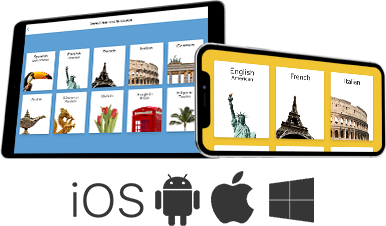 ​Learn more helpful French words and phrases with Rosetta Stone. Take the demo and see for yourself.